Please confirm the letters and numbers from the box above. With Soul Sister Ella Joyce! FUNKaCIZETM - A new way to exercise & have FUN. SPECIALIZED for active older adults. RECLAIM a soulful culture, from a soulful past. Soul MUSIC from the 60s & 70s is truly a treasured legacy, beloved around the globe. Studies have found that Soul Music, specifically, soothes the mind, spirit, and deep memory, enhancing one's mood, providing energy, and possibly comforting those with early signs of dementia and alzheimers. It's happy music, which simply makes people feel good. Soul DANCES of the era, perfectly reflect the music. It gave birth to an array of lively, rhythmic moves, grooves, and dances - adorned with fun-loving names. 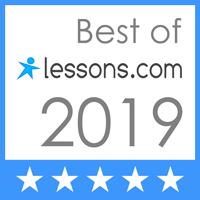 Re-live, get fit, and most important, have some fun! 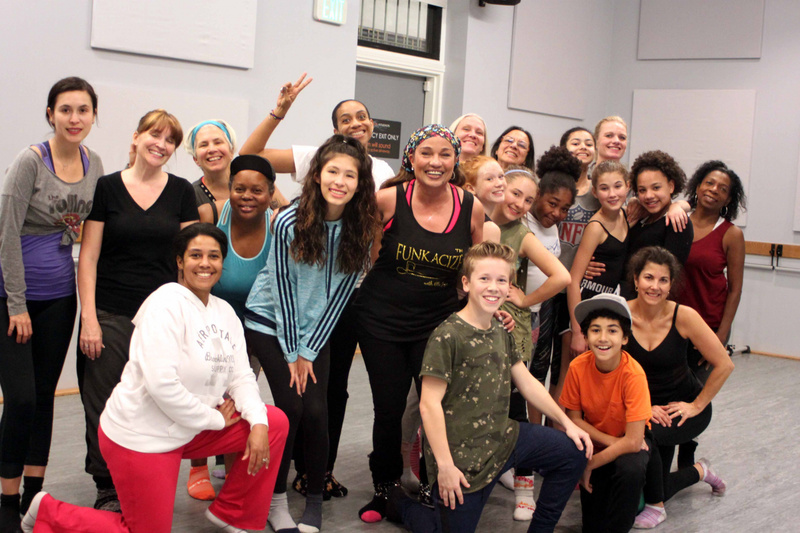 Parents, even kids, love learning the popular neighborhood dances -- bringing smiles to faces, tickles to the spirit, and funk to the soul. You don't have to be a trained dancer to want to dance . You don't have to start with a perfect body. You don't even need a dance partner. Just a desire to boogie down and have some fun. Improved physical fitness, improved posture, balance, flexibility, and muscle tone will merely be a welcomed side-effect of this regular activity. Remember the red light, basement parties? 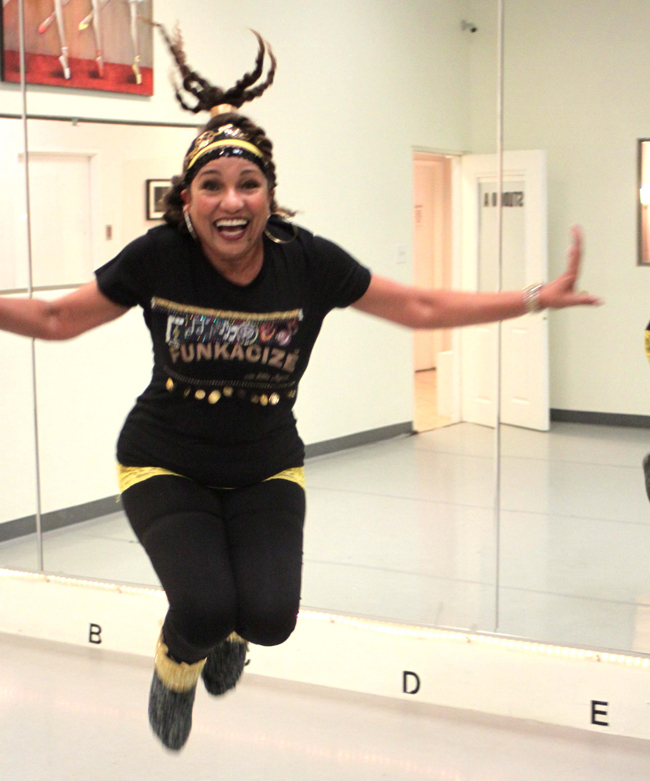 Funkacize serves as a joyous mood enhancer, sweating away the blahs for just one quick hour. It's a great activity to bring friends, or guests from out-of-town, looking for something fun and different to do. Most people can't do The Twist, without breaking into a huge smile! And smiles are good for the soul. 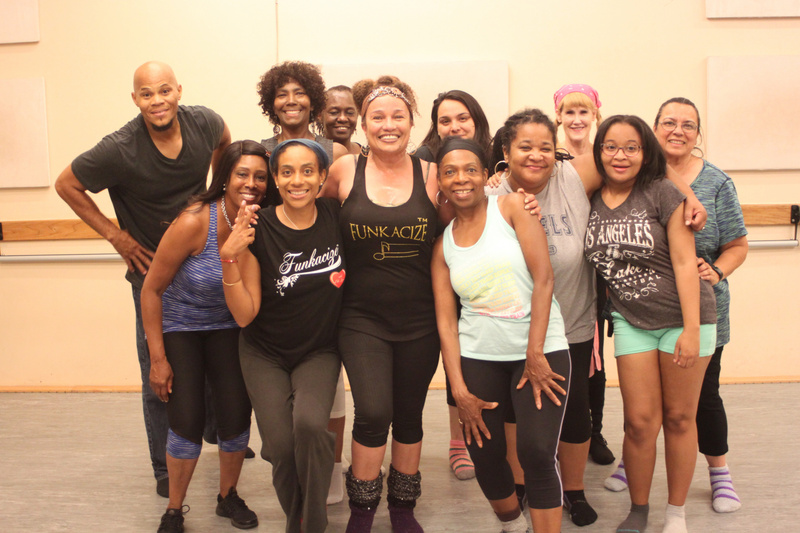 In an easy atmosphere with no one to judge, you can laugh, recall, and learn some of the era's most fun, soulful neighborhood dances from a proud, authentic Soul Sister, (straight out of Detroit & Chicago). 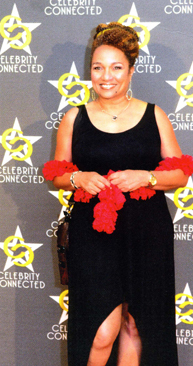 She's a favorite actress to many, known for her ageless beauty, youthful vitality, and entertaining ways. It's a SockHoP PARTY ! The Best Hour in Town. Come alone. Bring Friends. Bring a Date. Bring Guests from out-of-town ---- they'll love you for it! The FUNKACIZE NEWSLETTER & this Website keeps you informed. 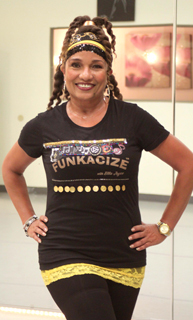 Members - Receive FUNKACIZE NEWSLETTER. for the FUNKACIZE NEWSLETTER/Ella Joyce FAN CLUB. FUNKACIZETM is designed to be held at Dance Studios with mirrors, hard floors, & high performance sound system..
will celebrate 5-Year Anniversary Oct 2019. Hosted by Ella Joyce & Dan Martin. Keep checking this page for updates. Our LOCATION is: EVOLUTION STUDIOS, 10816 Burbank Bl, North Hollywood, CA 91601 (near Vineland Ave). (one hour) free parking on street. Walk to rear entrance. Class held Fridays-8pm. in DETROIT: BAM DANCE STUDIO, 19954 Livernois Ave., Detroit - when visited. To bring a little joy & FUN to older folks. To encourage movement & flexibility, for the aging body. 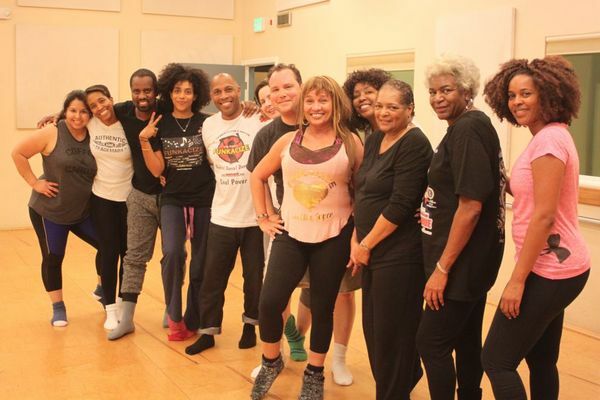 To teach & celebrate authentic, Black-American, SOUL dances. To savor the originality of the culture. To spark life into under-served communities. To cherish & reclaim, with pride, our soulful past. FUNKACIZE IS OFFICIALLY TRADEMARKED BY THE UNITED STATES PATENT & TRADEMARK OFFICE. © 2019 Ms. Thing Productions. All Rights Reserved.